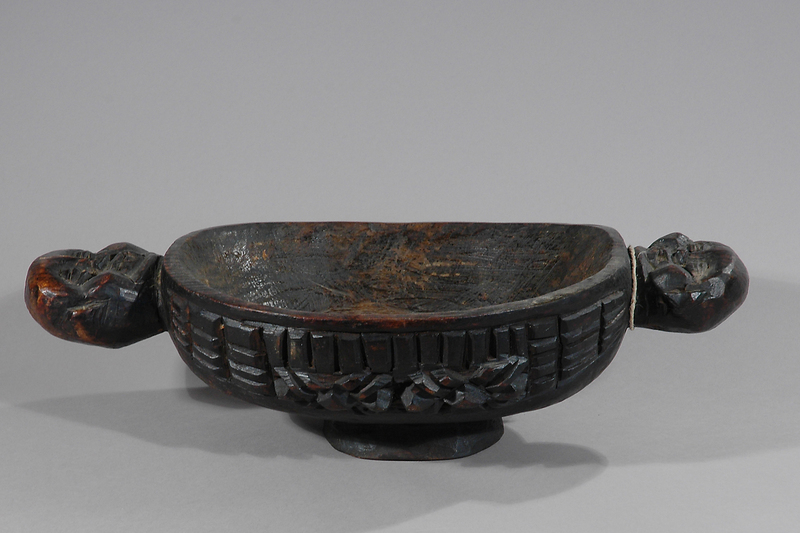 A bowl with carved handle and incised motifs on the sides. 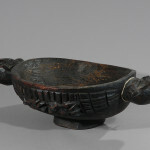 This bowl has its origin among the Bamikele people in Cameroon. The Bamikele are the largest tribal group in Cameroon. 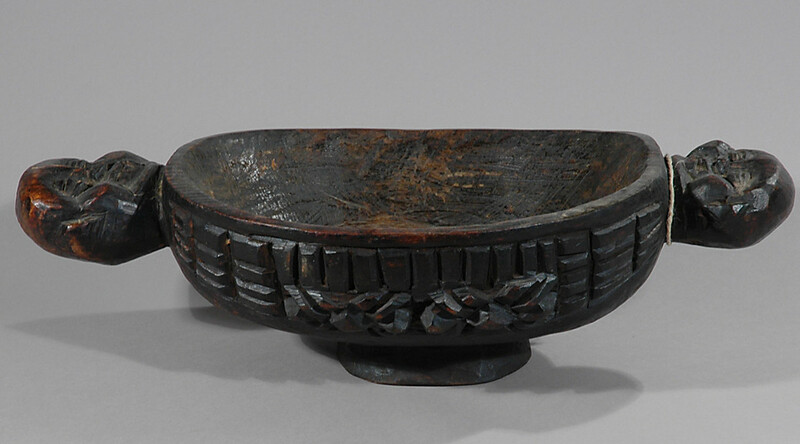 Art from Cameroon is diverse in its many forms, materials and use and is broken into a number of sub-styles based upon the number of ethnic groups, their history and local religious and social practice. 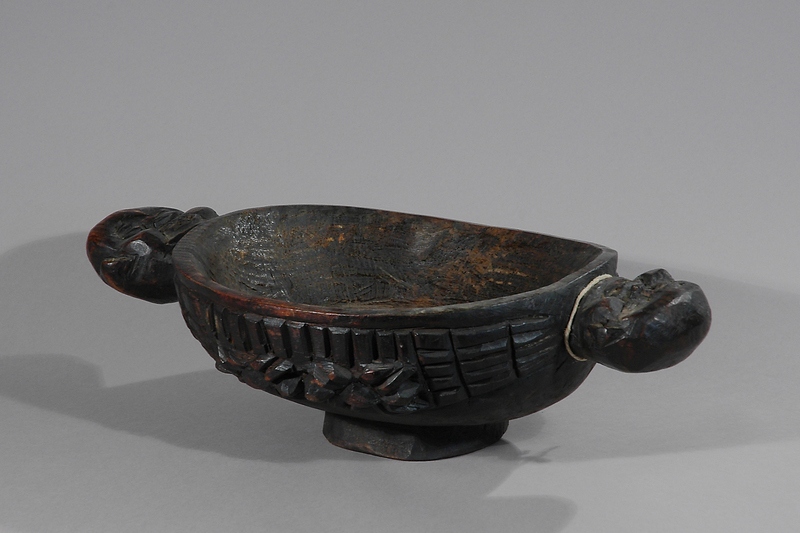 This carving bowl was used to serve kola nuts or food stuff. 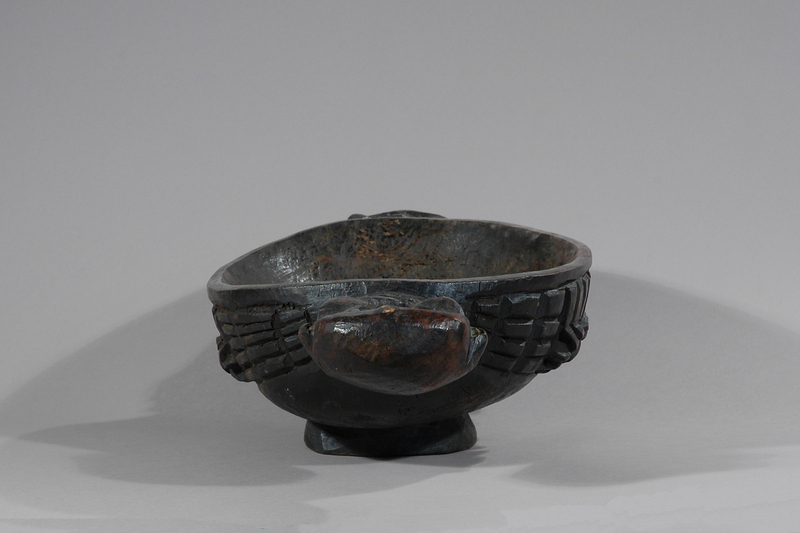 The offering of kola nuts is an important aspect of Western African ceremonial and ritual life and a sign of hospitability as the sharing of kola nuts are also a symbol of friendship and trust. 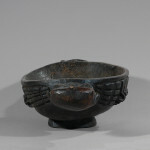 Priests also use this type of bowl to store medicines or ritual items. 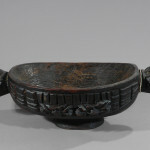 Such a bowl might have been used to contain offerings during ceremonies and rituals such as the cult of ancestors. 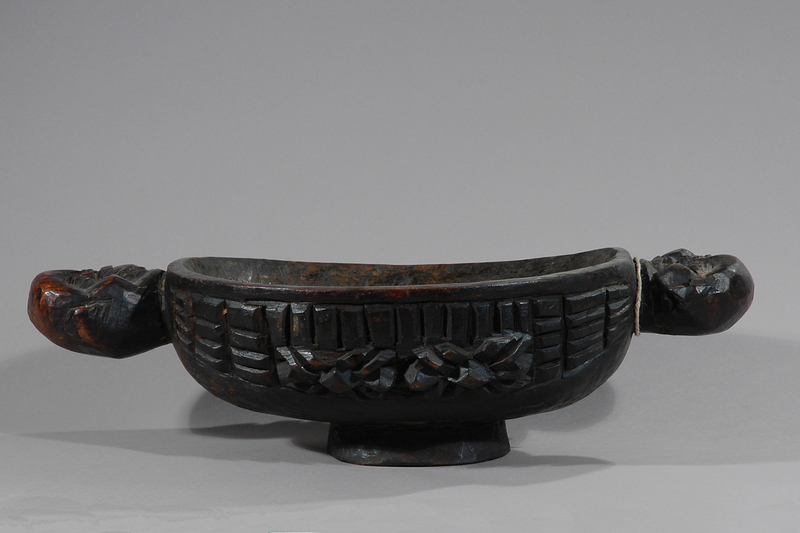 Collected: Foumban or Fumban, Cameroon east of Bafoussam in 1977. 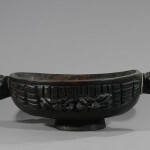 Reading: Art of Cameroon, by Paul Gebauer.